We can use economics to mitigate the risk of climate change becoming catastrophic. To do this we need to think of the atmosphere’s finite ability to absorb carbon emissions as a scarce resource, and manage it as we would any other resource that we want to preserve: By putting a price on it. Think of it like charging high prices for gemstones or precious metals. It’s time the U.S. insured its citizens against the worst outcomes of climate change by charging society for damaging the atmosphere. I support a tax that would make “upstream” companies that extract fossil fuels pay for each ton of carbon dioxide emissions their products create. These companies would be free to pass on the cost through the supply chain as market conditions allow, eventually affecting consumers. The entire petroleum supply chain would be motivated to reduce its pollution-producing activities to avoid high costs. Consumer demand for affordable renewable energy would rise, and investors and entrepreneurs would be incentivized to invest in and further develop these sustainable technologies. With appropriate incentives, all economic agents will make the right decisions. Taxing carbon emissions and letting the market take over would be much more efficient and cost-effective than current renewable energy subsidies or command-and-control policies that mandate certain pollution-controlling technologies. In addition to curbing climate change, increasing air quality and spurring innovation, a carbon tax would annually create billions of dollars of revenue that could fund dividends to U.S. residents, invest in infrastructure, or reduce “productive taxes” such as income taxes — a strong political selling point that other countries have already realized. Two dozen countries, including Japan, France and Mexico, have a carbon tax or have a tax scheduled for implementation. Headway in the U.S. has been slow, but there are signs of bipartisan progress, including a recent carbon tax bill introduced by Republican Representative Carlos Curbelo from Florida. Corporate America is beginning to accept and advocate for a carbon tax as the most economically and politically viable option to curb greenhouse gas emissions, primarily because companies recognize that climate change could restrain future economic growth. In June 2017, several industry giants such as Shell, Johnson & Johnson, ExxonMobil and Pepsi Co. became founding members of the Climate Leadership Council (of which I am a board member) to promote a carbon tax within a carbon dividend framework. Founding members also include nonprofits such as Conservation International and individuals such as Michael Bloomberg, Rob Walton and former EPA chief Christine Todd Whitman. Investors are starting to take note of a possible carbon tax: many are removing potential stranded assets (such as coal and oil from tar sands) from their portfolios in case a carbon tax is enacted that would lower the value of these assets. According to BlackRock, the world’s largest asset manager, more than 500 investment firms are in the process of divesting fossil fuel companies from their portfolios. Whether the firms’ leaders believe in climate change or not, it’s becoming an investment issue. Because we don’t know how much carbon the atmosphere can absorb before a catastrophic tipping point occurs, it’s difficult to determine how much society should pay today to protect future conditions. Some scientists argue that future generations will be able to adapt to climate challenges due to increased technology, but we just don’t know to what extent. To determine the social cost of carbon from a risk management standpoint, it’s necessary to factor in the plausible worst-case scenarios, even if the chances any of them occurring is slim. In “Applying Asset Pricing Theory to Calibrate the Price of Climate Risk,” a National Bureau of Economic Research paper I wrote with Kent Daniel from Columbia University and Gernot Wagner from Harvard University, we argue that to appropriately determine the social cost of carbon today we must account for risk aversion and extreme events. The more uncertain that we are about future climate damages, the higher the social cost of carbon must be. Consequently, the optimal carbon price today may be higher than equations that don’t consider risk suggest. With information we now know — and don’t know — Daniel, Wagner and I created a model for estimating an appropriate carbon tax. Most previous studies have estimated a price less than $50 per ton of carbon (about 50 cents per gallon of gasoline), but despite many uncertain parameters, we found that the price needs to be slightly more than $100 to appropriately change consumer behavior. This optimal price should fluctuate over time to reflect new information and technologies. Though there’s a growing conversation around putting a price on carbon, change needs to happen faster. The longer society waits to employ a carbon tax, the higher the social cost of carbon becomes. In fact, according to our model, a delay of just one year creates a deadweight loss for society of about $900 billion. And that cost of delay is not constant, it is increasing exponentially over time. It’s imperative that we enact a carbon tax without hesitation. The future of our economy, the health of our planet and human well-being all depend on it. 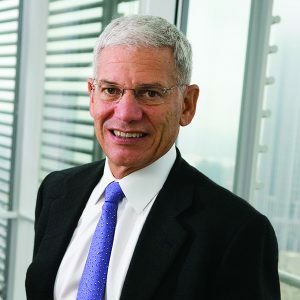 Bob Litterman, a board member of the Julie Ann Wrigley Global Institute of Sustainability at Arizona State University, is the Chairman of the Risk Committee and a founding partner of Kepos Capital, a New York City-based systematic global macro firm. Prior to these roles, Litterman enjoyed a 23-year career at Goldman, Sachs & Co., where he served in research, risk management, investments and thought leadership roles. Litterman serves on a number of boards, including the World Wildlife Fund, Climate Leadership Council, Commonfund (where he was elected Chair in 2014), Options Clearing Corporation, Robert Wood Johnson Foundation and the Alfred P. Sloan Foundation.